Robert Duncan. Caesar's Gate. Palma de Mallorca: The Divers Press, 1955. Highlands, N.C.: Jonathan Williams, 1957. New York: Totem Press, 1959. 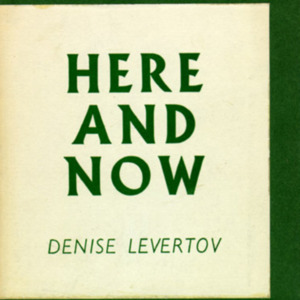 Denise Levertov. 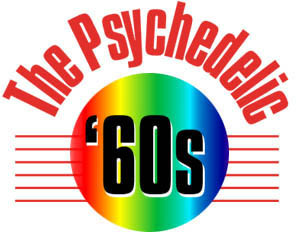 Here And Now. San Francisco: City Lights Books, 1957. 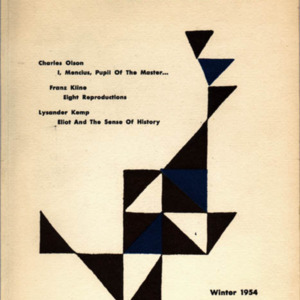 Black Mountain, N.C.: Black Mountain College, 1951-57. THE BLACK MOUNTAIN College began as an experimental school in 1933 and was located in a rural mountain community in North Carolina. 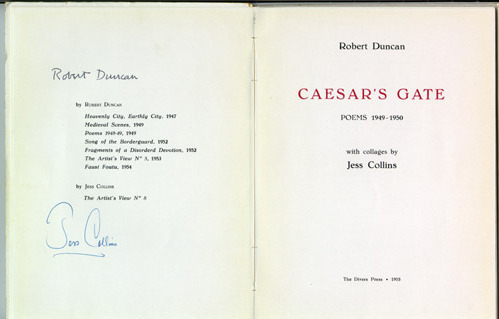 Various avant-garde poets were drawn to the school through the years, most notably Charles Olson, Robert Duncan, Denise Levertov, Jonathan Williams, and Robert Creeley. 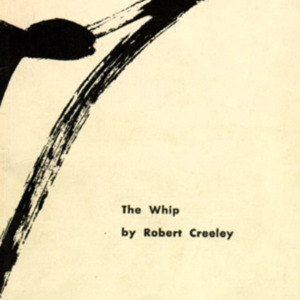 Robert Creeley was hired to teach and to edit the Black Mountain Review in 1955, and when he left two years later for San Francisco, he became the link between the Black Mountain poets, the poets of the San Francisco Renaissance, and­ through Allen Ginsberg­, the Beat writers of Greenwich Village. 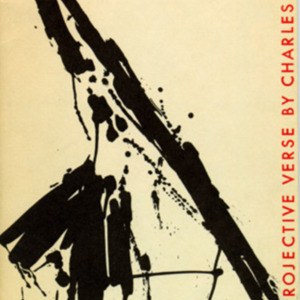 A partial list of contributors to Volume 7 of the Black Mountain Review (the last issue) shows the connection between the three groups and the influence they had on each other: ­Allen Ginsberg, Jack Kerouac, William Burroughs, Gary Snyder, Michael McClure, Philip Whalen, Charles Olson, Denise Levertov, and Jonathan Williams.